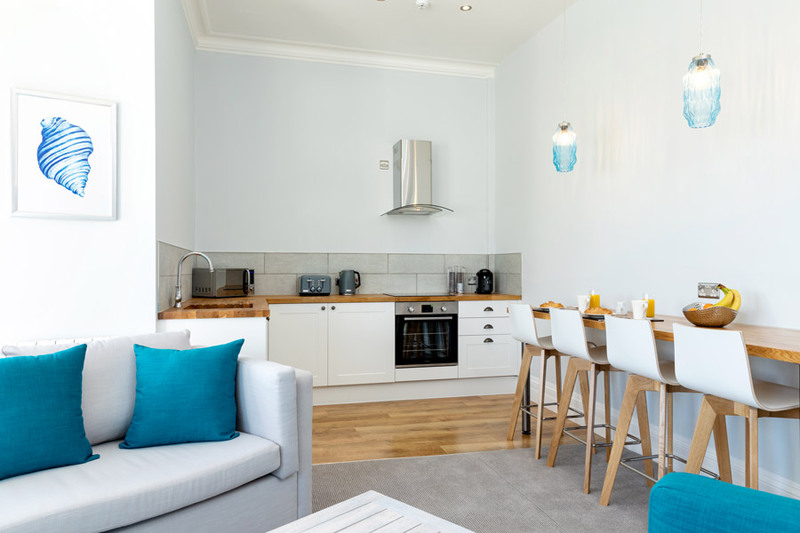 The ultimate in modern luxury our new apartments offer beautiful décor throughout, and a range of fantastic park and sea views. 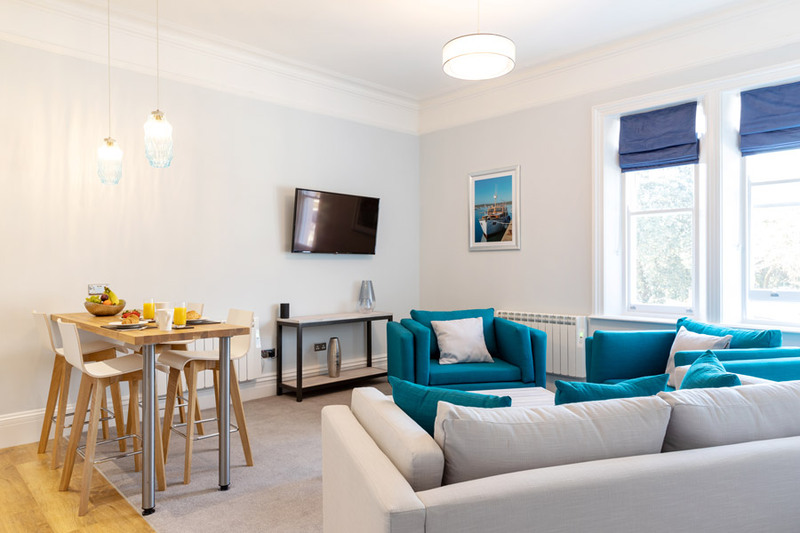 Relax in comfortable furnishings and elegant surroundings; the apartments are spacious enough to stretch out and relax with plenty of room for the family - with selected models sleeping up to 6 guests. 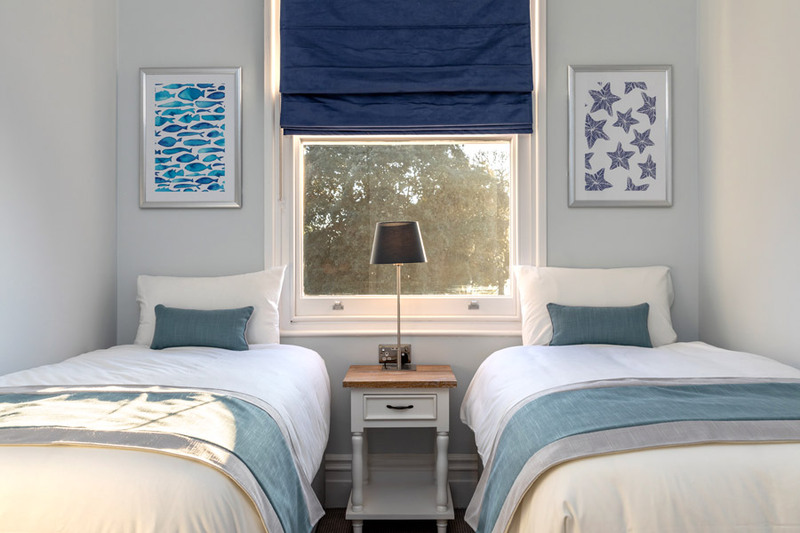 The apartments are tastefully furnished with whitewashed units and walls reflecting a nautical theme. Neutral tones and a relaxing aquatic colour theme are designed to complement the views of the sea and park. Each luxury apartment is unique, but all offer a fantastic holiday guest experience, with a host of little extras to make your stay even more special. *Unless specified otherwise on the accommodation. 1 or 2 night mini breaks now available! 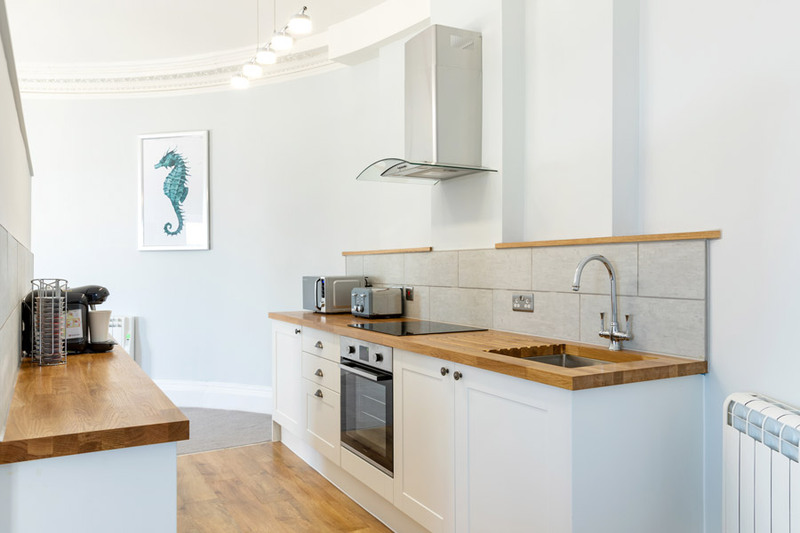 Fully refurbished for 2019 this apartment has been finished to the highest specification. 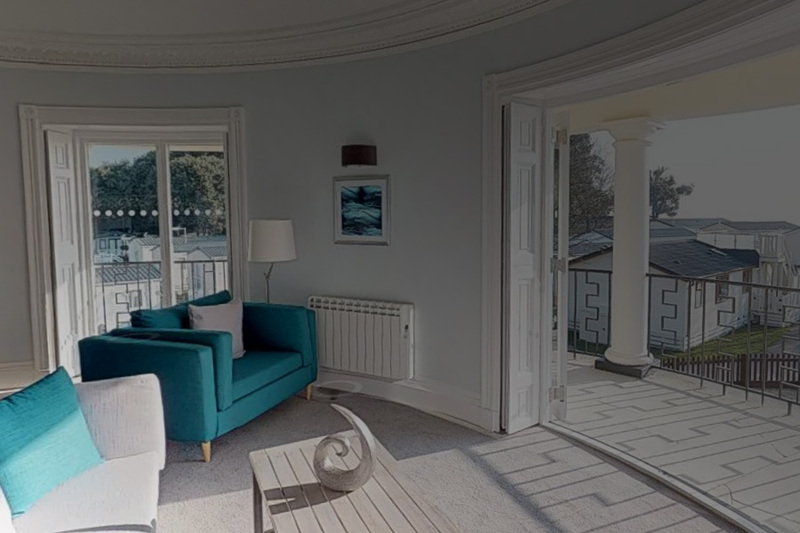 Sleeping up to 4 guests this stunning 1st floor studio apartment provides a contemporary feel complemented with a south facing private balcony boasting views out to sea. It comes with a fully equipped kitchen, dining table and chairs, an undercounter fridge with ice box, and a coffee machine. Other features include a King Size Hypnos Bed, a walk-in wardrobe, a 49" smart TV, and a bathroom with Rain Shower. It also comes with complimentary pamper pack: Towels, robes and slippers, toiletries, and a hair dryer. Duvets, pillows and bed linen are provided PLUS beds are made on arrival. There is a 4pm check in. 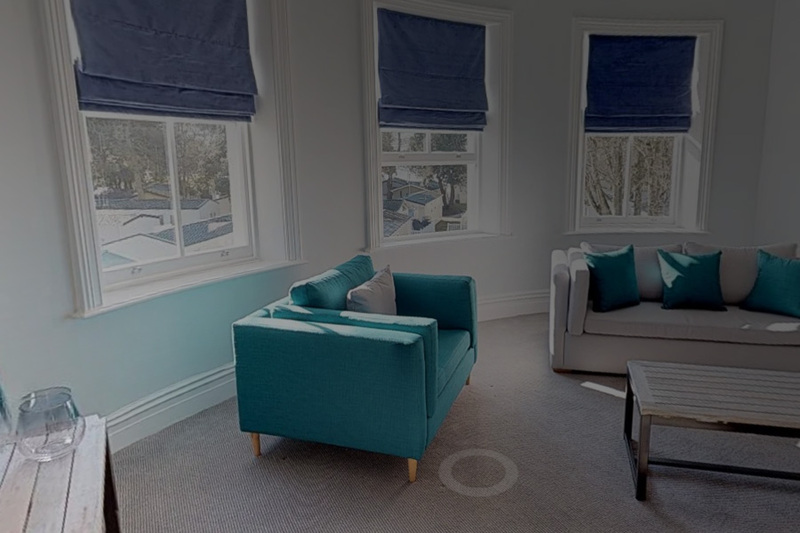 Relax in luxury in this 1 bedroom suite which has been fully refurbished for 2019. Offering stylish, comfortable furnishings and elegant décor throughout along with unrivalled views out to sea. This accommodation has 1 bedroom, a pull out sofa bed in the lounge, and sleeps up to 4 guests. 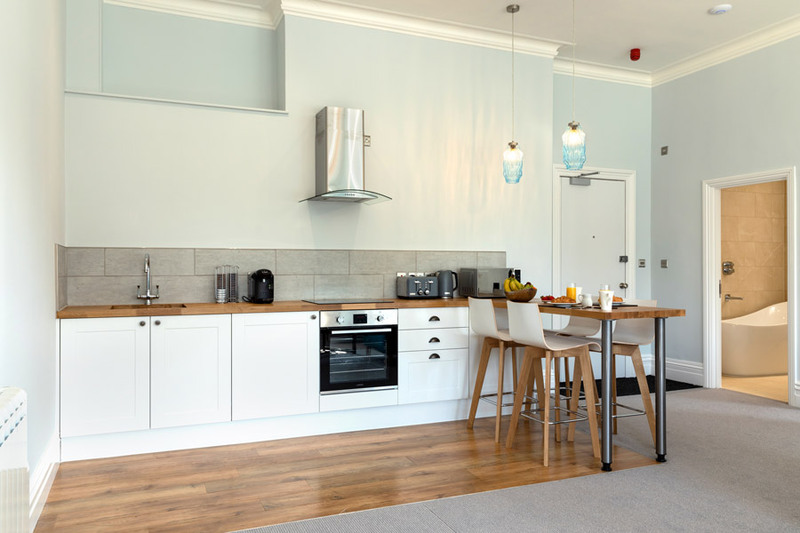 The Avon Suite comes with a fully equipped kitchen with breakfast bar, an open plan living area, plus an undercounter fridge with ice box, and a coffee machine. 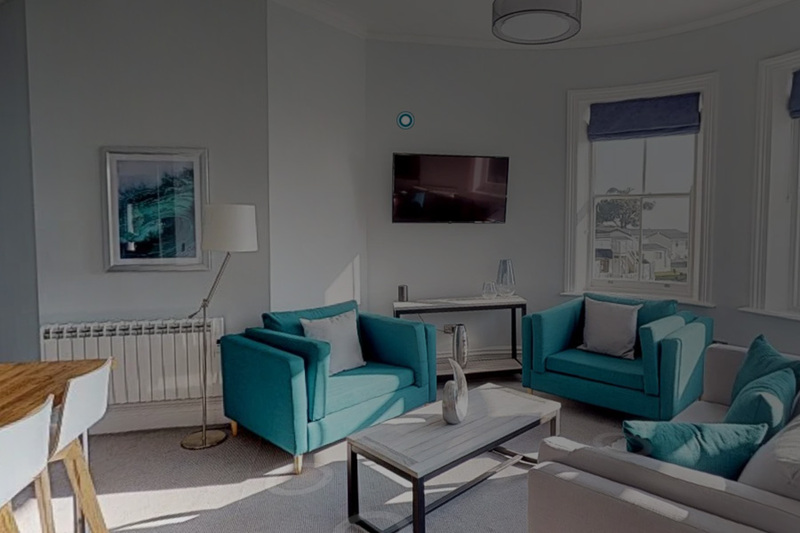 Further features include a King Size Hypnos Bed, a 49" smart TV in the lounge and a 43” TV in the bedroom, plus a beautiful bathroom with Rain Shower. It also comes with our complimentary pamper pack: Towels, robes and slippers, toiletries, and a hair dryer. 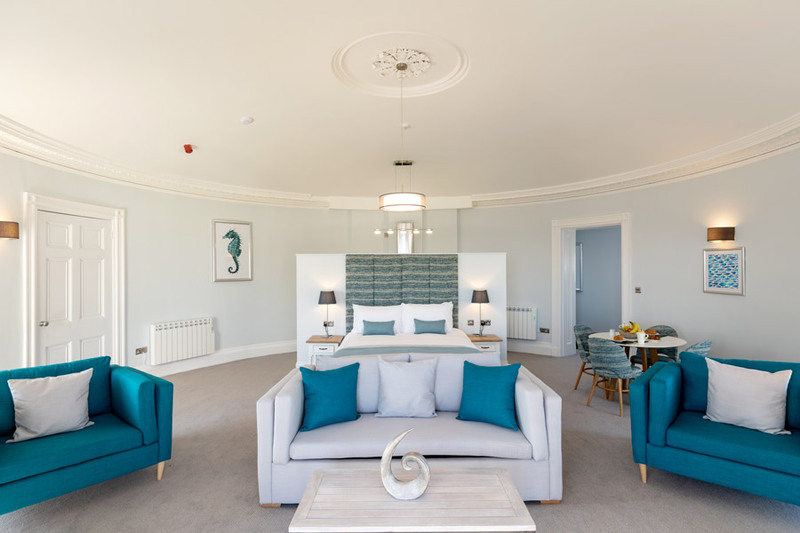 After being fully refurbished for 2019 this stunningly spacious 1st floor suite offers sea views, luxury and style. 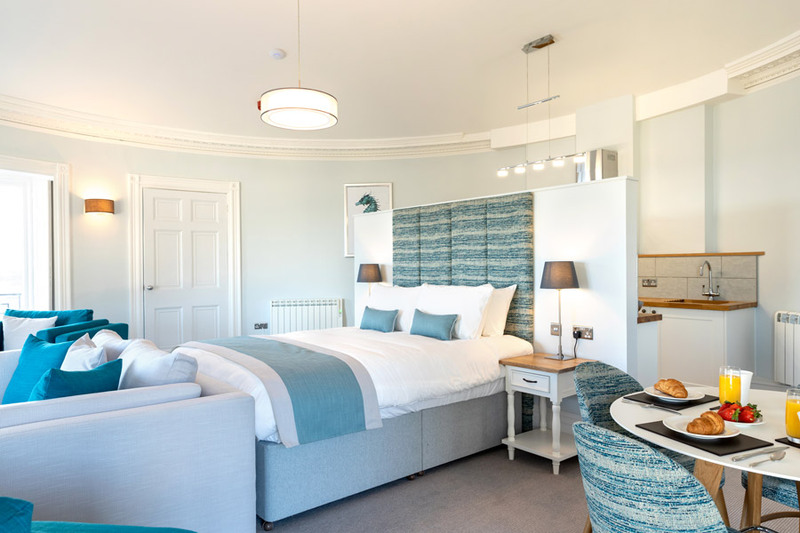 Boasting 1 large double bedroom, 1 twin bedroom and a pull out sofa bed in the lounge, this family friendly suite can sleep up to 6 guests in total comfort. 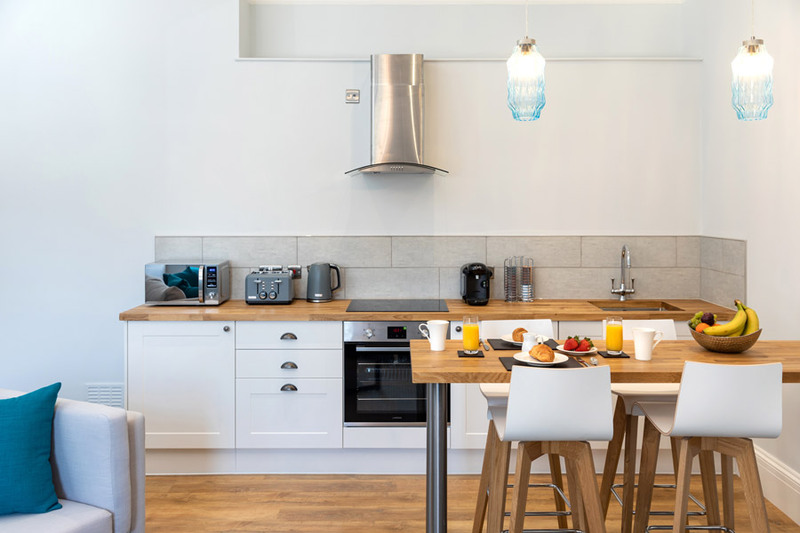 The Sandbank Suite comes with a fully equipped kitchen and breakfast bar, an open plan living area, plus an undercounter fridge with ice box, and a coffee machine. Relax in a King Size Hypnos Bed, and there’s also a stylish bathroom with Rain Shower. 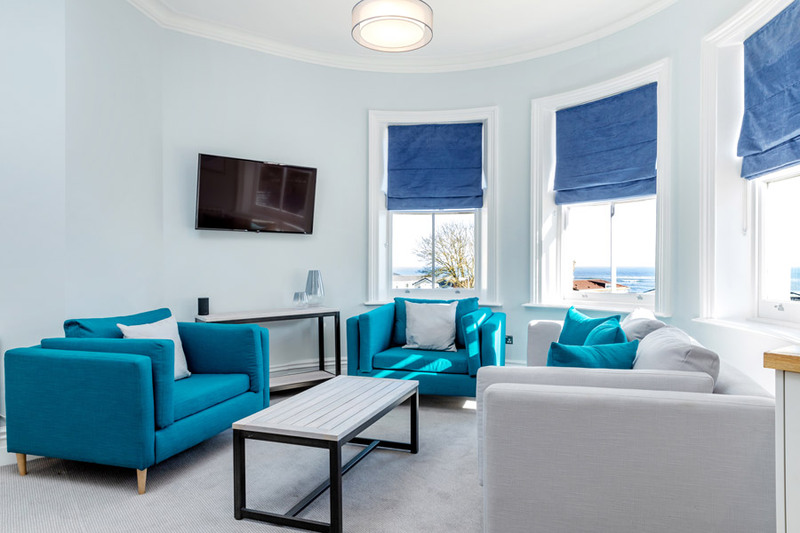 Telly-watchers are more than catered for with a 49" smart TV in the lounge, a 43” TV in the double bedroom, and a 32" smart TV in twin bedroom. The apartment also comes with our complimentary pamper pack: Towels, robes and slippers, toiletries, and a hair dryer. 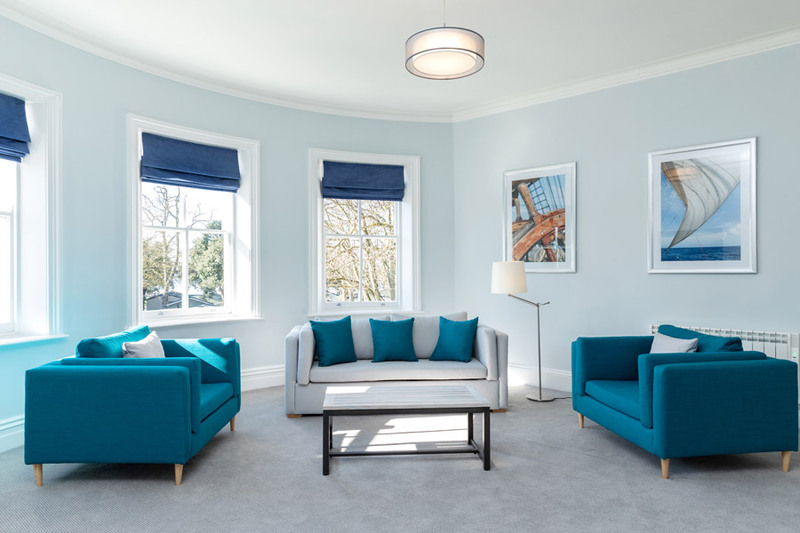 Refurbished for 2019 this spacious open plan apartment located on the 1st floor offers a luxurious stay with touches of class throughout. Up to 4 guests can stay in this luxury suite with one double bedroom and one pull out sofa bed in the lounge. 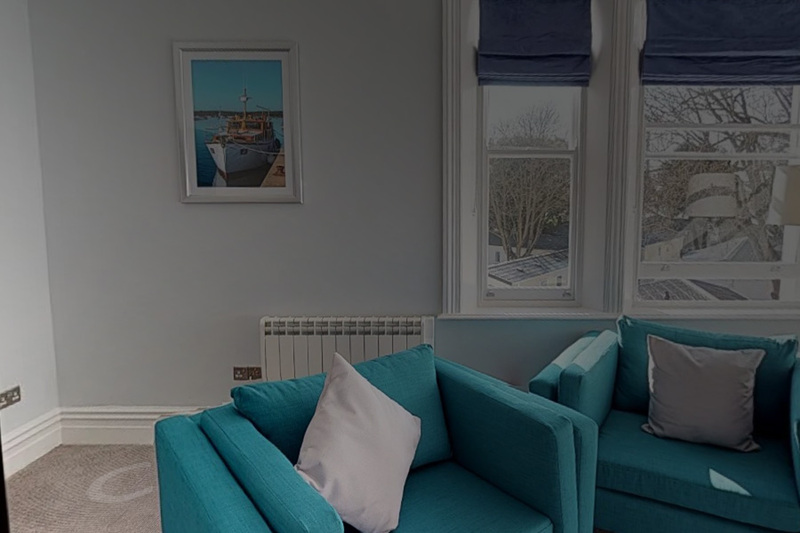 The Mudeford Suite comes with a fully equipped kitchen with breakfast bar, an open plan living area, plus an undercounter fridge with ice box, and a coffee machine. Enjoy the comfort of a King Size Hypnos Bed in the main bedroom. 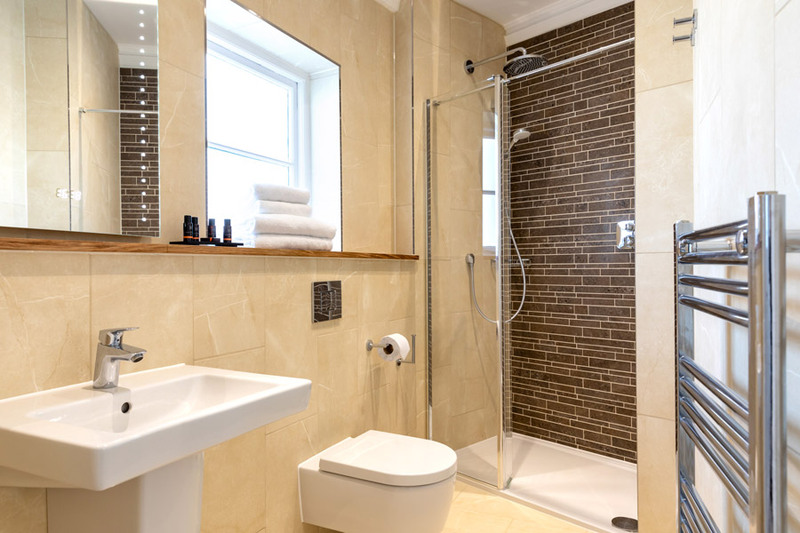 There’s also a stylish bathroom with freestanding bath, and a separate shower. For entertainment there's a 49" smart TV in the lounge, and a 43” TV in the double bedroom. The apartment also comes with our complimentary pamper pack: Towels, robes and slippers, toiletries, and a hair dryer. 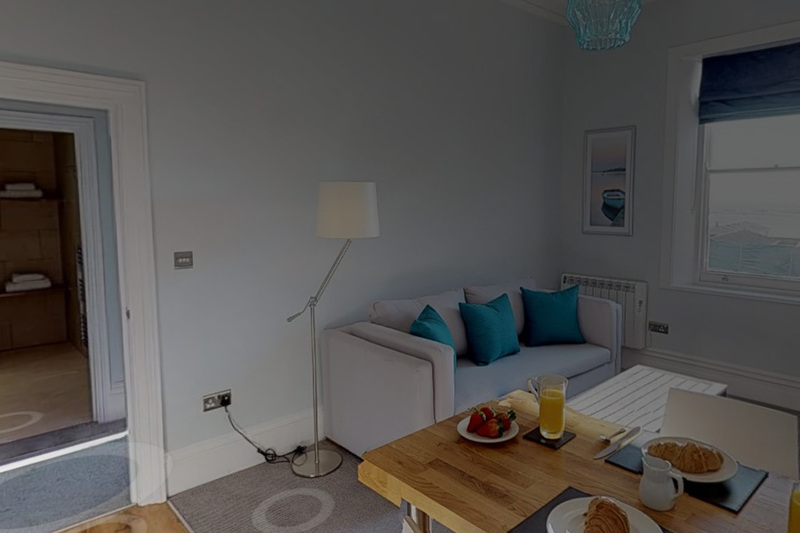 This spacious open plan one bedroom suite, refurbished in 2019, is located on the 1st floor and offers a luxurious space to spend your holiday time. Up to 4 guests can stay in this suite with one double bedroom and one pull out sofa bed in the lounge. 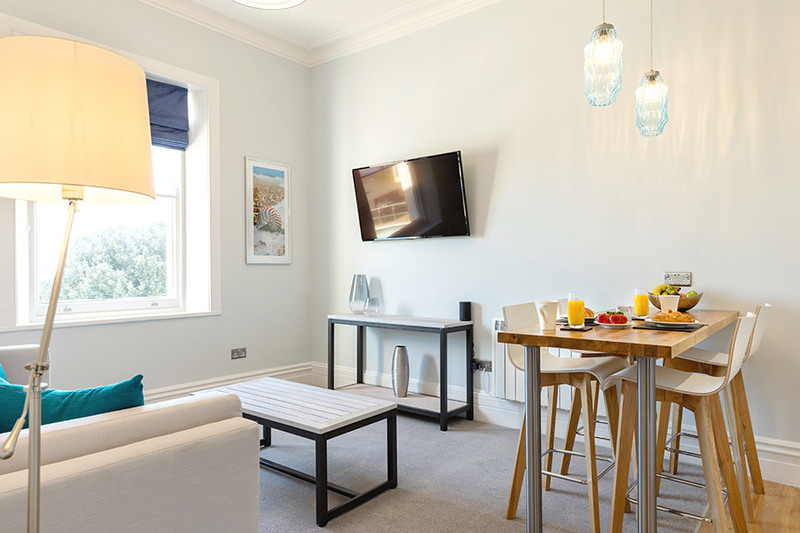 The Lymington Suite comes with a fully equipped kitchen with breakfast bar, an open plan living area, plus an undercounter fridge with ice box, and a coffee machine. 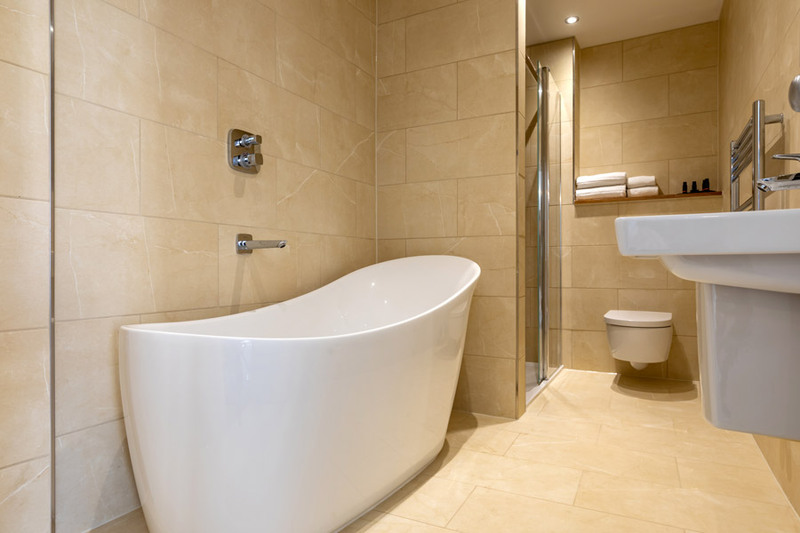 You can relax in a King Size Hypnos Bed, and there’s also a stylish bathroom with shower. Enjoy your TV viewing with a 49" smart TV in the lounge, and a 43” TV in the double bedroom. 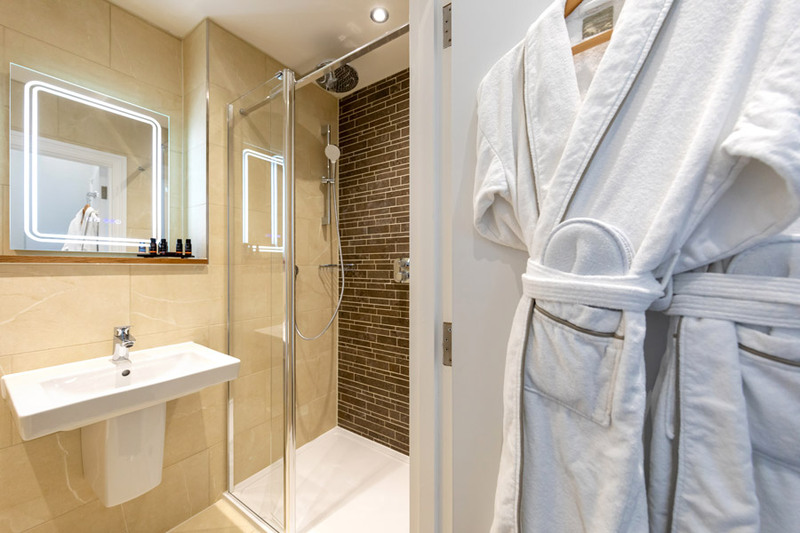 The apartment also comes with our complimentary pamper pack: Towels, robes and slippers, toiletries, and a hair dryer. Mini breaks are only available to book over the phone, however, 3,4,7 and 14 night stays are available to book online. Park Holidays UK reserve the right to withdraw or amend this offer at any time. Please see website for full terms and conditions.